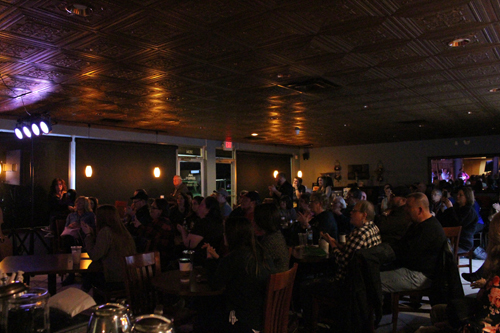 If you stopped by Java Johnny’s last Friday evening, you know there was barely any room to stand! People packed in like sardines to see one of our most popular acts to date, My Brother’s Keeper. MBK were joined by local folk artists Andrew Hibbard of Hamilton and St. Mary, St. Michael of Cincinnati. Tyler Carson, known on stage as St. Mary, St. Michael, made his Java Johnny’s debut as Friday’s opener. He played a slew of songs from his EP, A Sea of Empty Faces. One song that especially stood out was an upbeat ballad entitled “No One Else.” St. Mary, St. Michael also played a handful of songs from his upcoming concept album inspired by George Orwell’s magnum opus, Nineteen Eighty-Four. 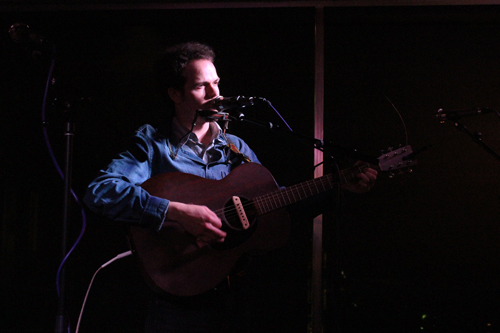 Second on stage was Andrew Hibbard, standing as the poster child of folk music with a guitar and harmonica in hand. Hibbard admitted this was his first show of 2018, but by listening to him you would not know that. His Dylan-esque presence mystified the crowd, one crowd member even stepped outside momentarily but still bobbed his head happily to the music. Give Andrew Hibbard a listen, his single “Picture in a Frame” is the perfect mixture of beauty and melancholy. My Brother’s Keeper set up quickly after Andrew’s set. For over an hour, they entertained the café with wonderful music and the occasional joke. The title track of their latest album, “Icarus,” as well as the song “Sinner Like Me” were especially fun to see and hear live. My Brother’s Keeper is capable of playing a wide range of music and making it their own, which they showcased with covers such as the popular folk song “The Wayfaring Stranger,” “All These Things That I’ve Done” by the Killers, and even a-ha’s “Take on Me!” Who else could take ‘80s synthpop and make it sound amazing on a mandolin? Only MBK! The band was also open to audience requests, playing their original song “Revival” when someone in the crowd asked to hear it. In honor of their performance, the drink of the night was the “My Butterscotch Keeper” latte, which we hope everyone enjoyed! Thank you to My Brother’s Keeper, St. Mary, St. Michael, and Andrew Hibbard for gracing Java Johnny’s with three awesome performances. We would love to have them all back again! My Brother’s Keeper can be found playing at the Coffee Peddlar on the first Friday of every month (the next show will be April 6), and also has a show on April 14 at the Southgate House Revival. You can keep up with their events on their website. 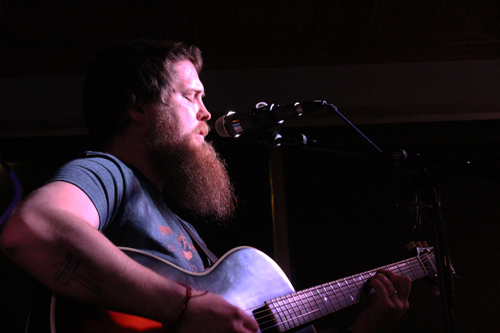 Andrew Hibbard will be playing the Southgate House Revival on April 5. His tour dates are listed on his website. St. Mary, St. Michael’s next show is on March 15 at Urban Artifact. He also has his future shows listed online! 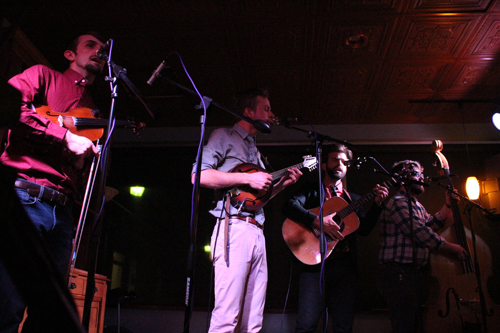 For more bluegrass and folk music, Ma Crow & Co. will be playing at Java Johnny’s on April 13, featuring Sweet Betsy. Showtime is 6:30 PM.